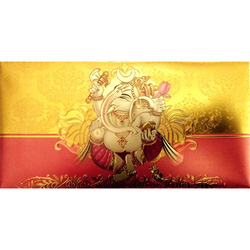 Providing you the best range of gold plated envelopes for festival, gold plated shri ganesha envelopes, gold plated envelopes for diwali pujan, gold plated envelopes for ganesh puja, gold plated envelopes and gold plated envelopes for ganesh pooja with effective & timely delivery. 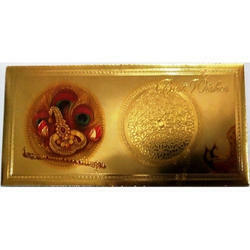 We are engaged offering optimum grade of Festival Gold Plated Envelope. Designed with high precision, the offered Envelopes are Gold plated (PRINTED ON GOLD FOIL) with a plastic film base and made using high grade raw material and ultra-modern technology at vendors’ end in compliance with industry norms. Apart from this, our provided envelope undergoes various checks under the guidance of quality examiners, in order to maintain its quality. Clients can avail this envelope from us at market leading prices. 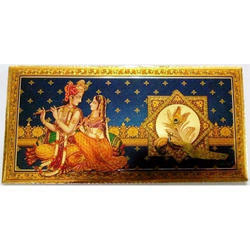 These Envelopes can be used for Gifting on Festive and Marriage Occassions. 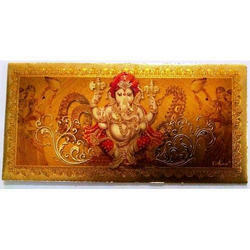 Our exclusive range of Ganesha Gold Plated Envelope is highly demanded due to their religious appearance at front. These gold plated products are made by using superior quality pulp, obtained from the reliable vendors with plasltic base film. 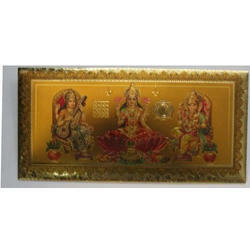 We are dealing in Gold Plated envelopes for Diwali Pujan. These are Gold plated and (PRINTED ON GOLD FOIL), with a plastic film base. Used for Gifting on Festive and Marriage occassions. 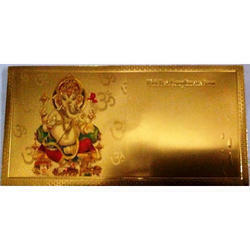 We Are Dealing In Gold Plated Envelopes For Ganesh Puja. These Are Gold Plated (printed On Gold Foil), With A Plastic Film Base. Used For Gifting On Festive And Marriage Occasions. 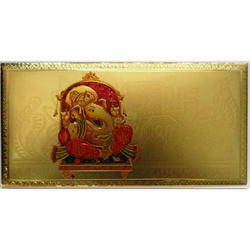 We are engaged offering optimum grade of Gold Plated Envelope. 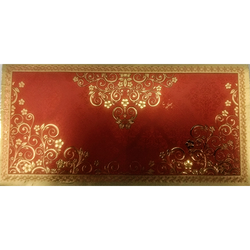 Designed with high precision, the offered Envelopes are Gold plated (PRINTED ON GOLD FOIL) with a plastic film base and made using high grade raw material and ultra-modern technology at vendors’ end in compliance with industry norms. Apart from this, our provided envelope undergoes various checks under the guidance of quality examiners, in order to maintain its quality. Clients can avail this envelope from us at market leading prices. 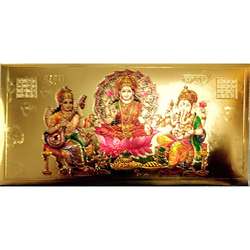 Our exclusive range of Gold Plated Envelope for Ganesh Pooja is highly demanded due to their religious appearance at front. These gold plated products are made by using superior quality pulp, obtained from the reliable vendors with plasltic base film. 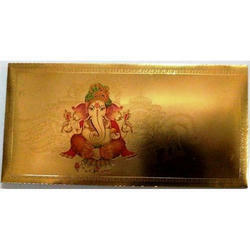 We Are Dealing In Gold Plated Ganesha Envelopes. We Are Dealing In Gold Plated Envelopes. Looking for Gold Plated Envelopes ?